This one tricked me. 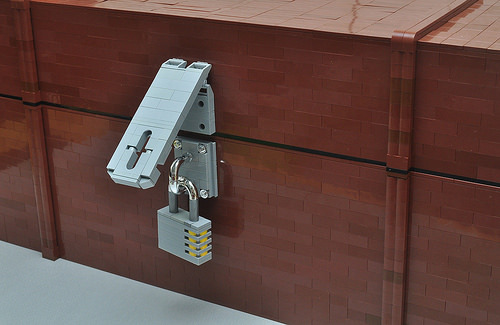 Gilcelio built this very realistic padlock and hasp, put it on a lovely brick-built chest, and I didn’t realize it was LEGO until after I clicked on it. Very impressive. I love realistic, full-size recreations of everyday objects.